I love these lense have been using them for just under a year now. Used to use proclear dailies but with cost wanted to try something else. These lenses are soft and easy to handle, i wear mine for up to 10 hours per day without dryness. SOOO comfortable. I found the transition from dailes easy due to same brand. I know some people found they tore when handled but ive found this not the case,as long as you handle them with care. Would highly recommend and as always fantastic service!!!! Awful lenses, my eyes feel dry after just a few hours. They are also quite fiddly to put in as they fold over when taken out of storage container and are easily broken. I know there are a few bad reviews for these on this website, which suprises me. For me, they are absolutely superb. They are comfortable straight away, and remain comfortable even for extended periods of time. I can fall asleep in them and wake up without even realising they are in. For me, they are perfect. They fit my eyes like a glove. I suppose everyone has different eyes and some lenses will be better or worse for different people. However I will never buy another type again. These are the ones for me. I`ve been using this specific lens for 20 years . The first order I made from here for these , I was mildly surprised by how `unrobust` they were and I certainly did not get anywhere near the normal level of wear I`ve known to expect . The batch with my second ordering was even worse - seemingly they have the power to disintegrate into tears and splits , even making the dangerous journey from packet to storage pot , or mysteriously manage to deconstruct during that hazardous activity "sitting on eye whilst driving for 20 minutes" . These things are not new to me so I`m perfectly fit to handle in an appropriate manner , but they give a whole new meaning to the word "disposable" - under the circs , I`m forced to look for another more reliable equivalent . Editor: We will contact you and offer you a replacement order. 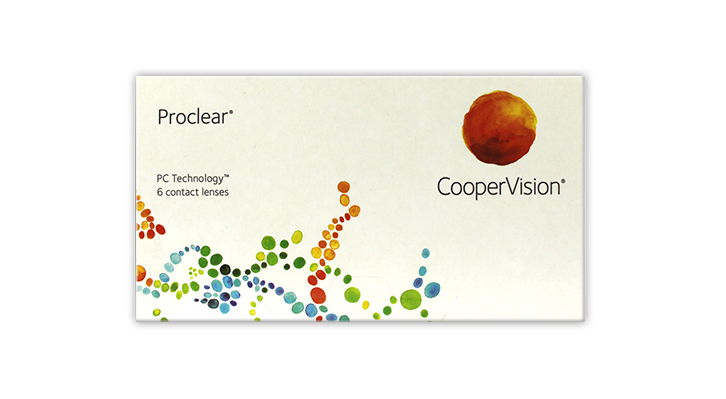 Proclear is a long standing lens, and in our view, nothing has changed. Maybe just a faulty batch? Anyway, we will be in touch. I've been wearing these lenses for more years than I can remember. My optician has recently tried out a couple of other types on me, but I've gone back to these, having found them much more comfortable. I can wear them all day and evening with no discomfort. They do tear quite easily, otherwise would have given 5 stars, but I generally manage to keep most of them in one piece for the month. Like other reviewers I'm surprised by some of the poor ratings of these lenses, it just goes to show everyone's eyes are different. I've used them for over 5 years now and I typically wear them for 12-14 hours/day. Only very occassionally do I suffer from a bit of dryness right at the end of the day.